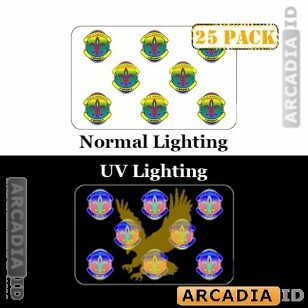 These packs of holographic overlays contain 25 'official seal' designs for adding to your ID cards. These make them hard to copy and give a professional and attractive look. Can't find what you're looking for? Then call us anytime for more information.